Hello friends! Long time no see, or should I say long time, no hear from me. More on that later, I promise a new post very soon. 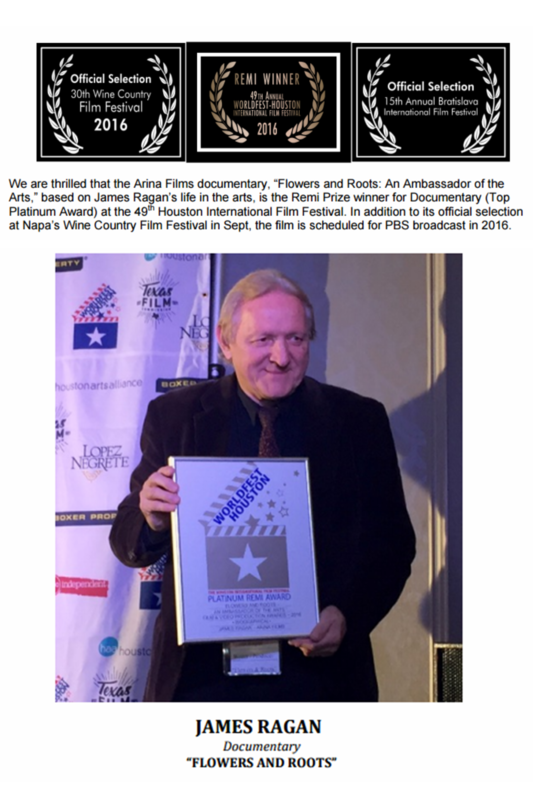 I received an email from Dennis Ragan and Jim Ragan informing me that there is going to be a special broadcast of Jim Ragan’s documentary,“Flowers and Roots, Ambassador of the Arts,” on Sat. Nov 5 at 9 pm on “Filmmakers Corner.” Arina Films had chosen to document his life in the arts, including the influence his Duquesne upbringing and ethnic roots have had on his poetry, drama, and films, as well as his role on the international stage. BE SURE TO TUNE INTO WQED ON SATURDAY, NOVEMBER 5th AT 9 PM. This entry was posted in Duquesne History, Duquesne's Special Citizens. Bookmark the permalink. Any discussion of HUNKY FOOD makes me salivate.Last year a West Mifflin friend sent me a Nut Roll, I bought a pound of REAL BUTTER & for 3 mornings I had buttered Nut Roll washed down with freshly ground STARBUCKS KOMODO DRAGON COFFEE.Just texting about it makes me BUZZ a little.Do you think an experience like that is a SIN? Hi Jim, As usual, The Duquesne Hunky keeps me informed as to special Duquesne influenced happenings in the arts, wine & food and film world – hot diggetty. That Napa Film Festival sounds like a real winner and I’ll put that on my list of things to do, as I get out to the Bay Area occasionally. Now I’ll make sure I get there in September for that one. I wish I lived nearby so I could watch the documentary Flowers and Roots on WQED about James Ragan. Can somebody DVR it and save it? Here’s some more info about the film I’ve attached below. Have a ball teaching others about how to make the real ‘halusky.’ Important and fun to keep these traditions alive. I hope to see where Ragan penned his “Too Long a Solitude” written on the balcony of Havel’s iconic family home in Prague in a few weeks–my first visit to the Czech Republic. Now I have an even better reason to visit. Here’s a PR release from St. Vincents College–some of the music featured in the production was composed by his son, Jameson, a 2015 graduate of Saint Vincent College. Till next time. Christmas VILIJA! What In The Hunky World Is That? ?